When you start out, it’s like you’re pushing a rope, it’s very difficult to get any traction. But at some point, people start to grab onto the other end of that rope, and take it on, and run with it. But in a change-averse culture — and I think small towns, small communities are more change-averse, because you don’t have the churn you do in cities, you don’t have a lot of people moving in and out, you don’t have the new ideas and new perspectives that come from people relocating in. And you don’t have as much youth. If you look at the average ages, they’re a lot higher in rural counties. So it takes awhile. When we started on trail construction in the county, between the state trail and the local trail that the Thrive coalition built, we’ve had eighteen miles of new trail constructed in the last five years. When it started, people said “Well, nobody’s going to use that. Trails are a waste of money.” And now, two weeks ago, we had a complaint from a family that had moved out of town to a farm that happens to be adjacent to the new trail. She was complaining because they moved out there for peace and quiet, and now everyone waves at them when they go by and they’re tired of waving as they’re having their morning coffee out on the patio. So it gets better. The problems change, but it does get better. 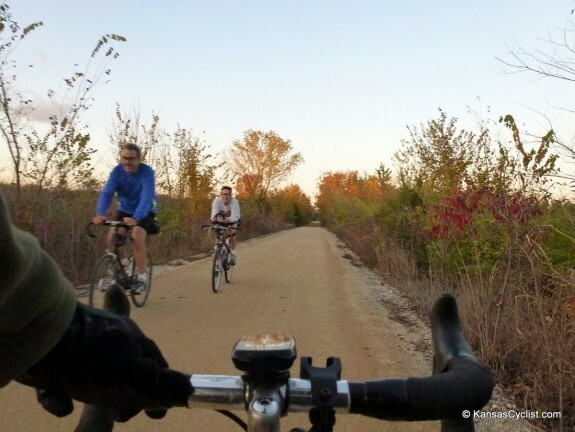 Thrive Allen County is headquartered in Iola, so the “state trail” he refers to is the Prairie Spirit Trail (which completed its third and final phase, from Welda to Iola, in 2008) and the “local trail” is the Southwind Rail Trail, which opened in 2013.